Though harvest time is over and outdoor plantings have started their long winter sleep, our homes can still show signs of nature deep into the season. Sure, we bring all sorts of coniferous plants inside during the month of December, but there are several types of flowering plants that add a punch of color to our homes during the holidays. After waiting for several weeks, patience pays off when the large, trumpet-like amaryllis finally blooms. If you're not patient enough to wait for a bulb to be forced, this plant can be found everywhere during December in a spectrum of colors. Blooms can be top heavy, so a bamboo stalk is needed to reinforce them. If you're up for the challenge and can withstand the wait, amaryllises are the perfect holiday plant. Additional tips from gardening.com can be found here. 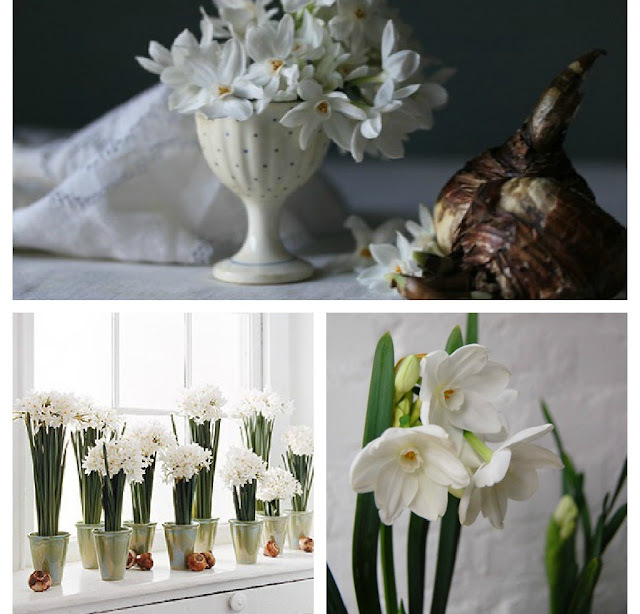 Paperwhites are a relative of the sunny daffodils that appear early in the spring. The small bulbs can be forced with or without soil, from which they emerge with long, lanky green stalks. I've had to learn to be patient with paperwhites because it takes about 4-5 weeks for the softly-scented blooms to appear. 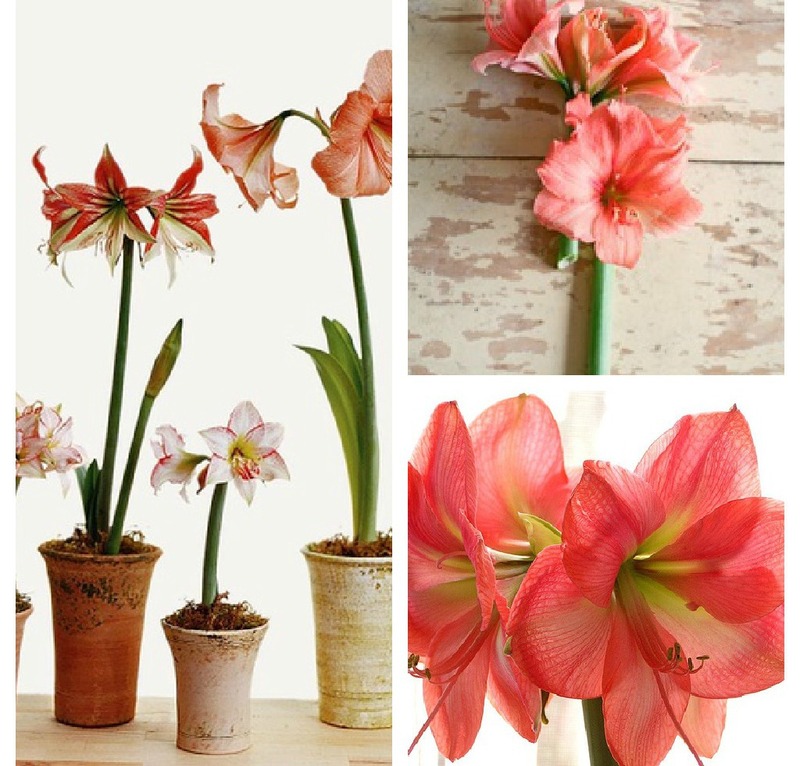 For more on this flower, check out this helpful article from BH&G. 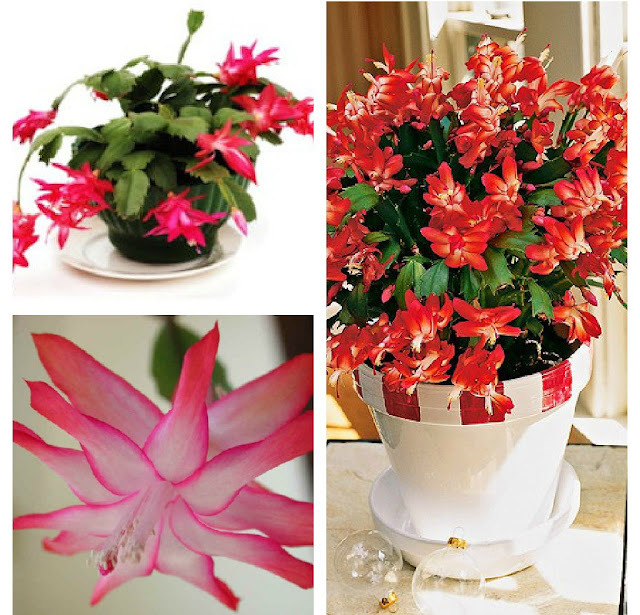 The Christmas cactus, which typically blooms between Thanksgiving and Christmas, has a long life that extends far beyond the holiday season. This plant makes an ideal houseplant because it can take being divided and can withstand infrequent watering--it is a cactus after all! My mother and grandmother have had the same Christmas cacti in their houses for years, so that is a testament to a great plant. BH&G has another useful write-up on this plant here. The flower best associated with the holiday season, the poinsettia appears at every grocery or big box store at affordable prices and various sizes. This plant comes in a number of varieties and practically every color between red and white, so there really is an option for everyone. The best idea for making poinsettias feel more special: remove the chintzy foil they come in and instead hide their plastic pots in a basket or other container you have. 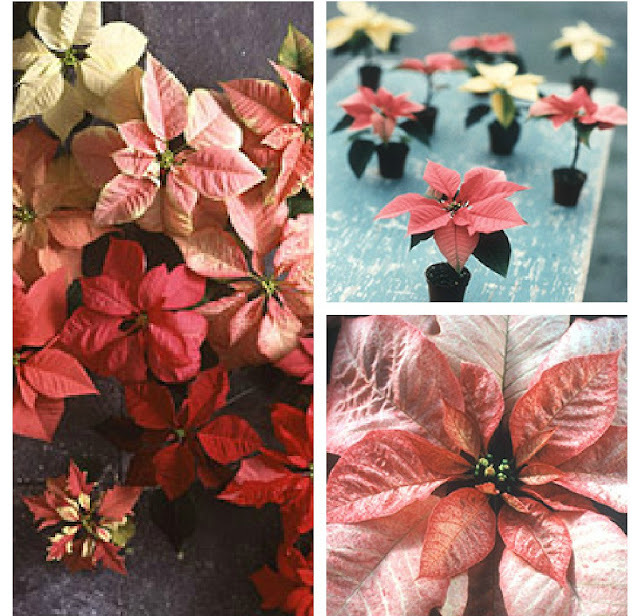 Still need more info on poinsettias? Be sure to check this article out. This flowering plant is a new favorite of mine for two reasons: the unique silhouette of the bloom and the very affordable price of the plant! Cyclamens are a tuberous plant and, as such, they don't do well if over-watered. 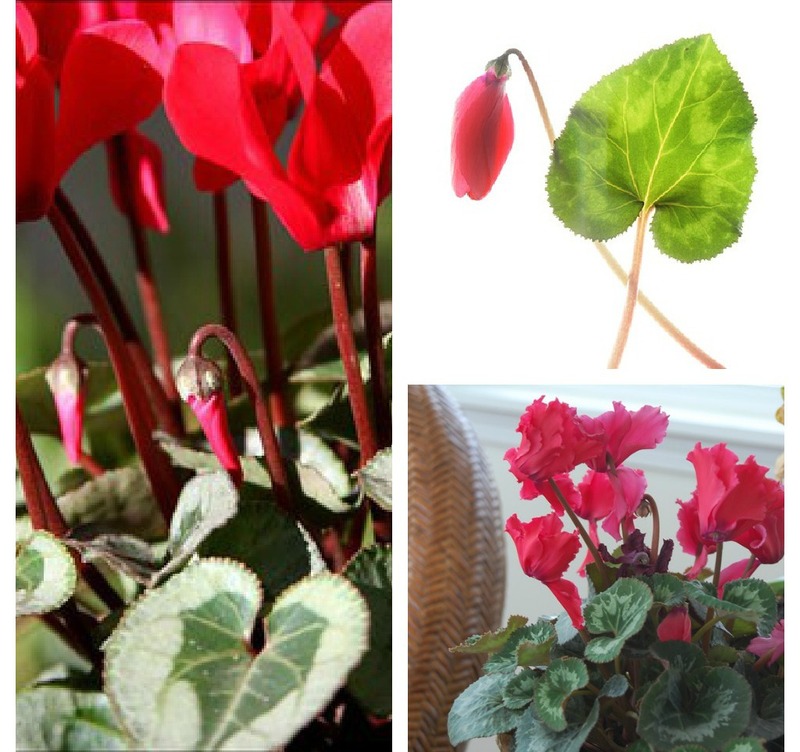 Cyclamens can be found in red, fuschia, pink and a mottled combination of pink and white. Like many of the other plants I've highlighted today, the cyclamen needs a period of dormancy after the flowers have passed. For more on this plant, be sure to read through this article from Martha Stewart. Do you incorporate any of these plants into your home during the holiday season? Are there any other festive plants or flowers I'm missing here? Just got my amaryllis bulb over the weekend! I still need to pick up my paper whites, though. I always have a much bigger issue keeping those flimsy stalks upright (rather than the giant amaryllis base). Paper whites are so floppy! I bought some red poinsettias at the dreaded WM this weekend. First thing I did was take them out of that awful green foil and tucked them into a silver trophy bowl with some pine branches. I would like to add an amaryllis, but I may be running out of time! Let it Glow, Let it Glow, Let it Glow! Vintage Floral Painting...Now, New and Improved!